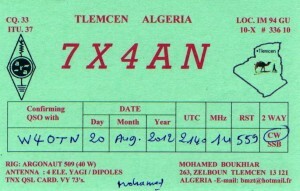 I received confirmation for my August contact with 7X4AN, today. 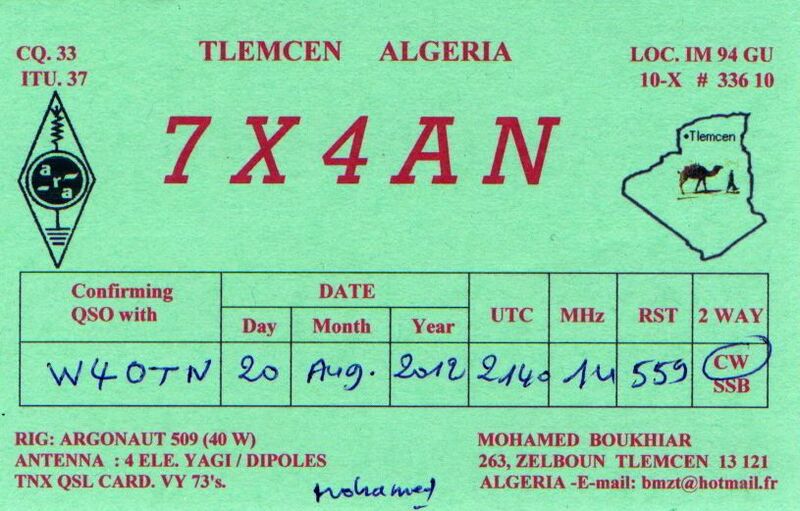 Most excited to receive another "new one" I confirmed receipt of the QSL. Mohamed is one of those courteous CW operators that will happily slow down for you if you aren't ready to receive at ~32 WPM. He also used two very nice stamps that I will happily add to my collection.